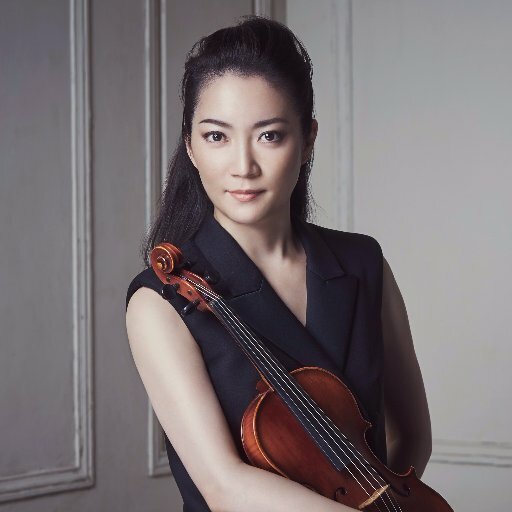 Praised by The Times for her ​“noble playing, with its rhythmic life, taut and rigorous,” Japanese violinist Akiko Suwanai was the youngest ever winner of the International Tchaikovsky Competition in 1990. Since then she has enjoyed a flourishing international career and appears regularly with celebrated maestros and foremost orchestras across the globe. This season Akiko Suwanai debuts with the Staatskapelle Dresden and Peter Eötvös performing his iconic violin concerto Seven. She also performs in Berlin and goes on tour to Japan with the Rundfunk-Sinfonieorchester Berlin and Vladimir Jurowski and debuts with Helsinki Philharmonic Orchestra and Susanna Mälkki. Other 2018/19 highlights include Yomiuri Nippon Symphony Orchestra with Sylvain Cambreling, Orchestre National du Capitole de Toulouse with Klaus Mäkelä and Japan Philharmonic Orchestra with Pietari Inkinen. In addition, Akiko Suwanai opens the newly launched EUPHONIE Festival in Warsaw with the Polish National Radio Symphony Orchestra and Lawrence Foster and closes the Bratislava Music Festival with the Slovak Philharmonic and Eivind Gullberg Jensen. In November 2018, Akiko Suwanai joins prestigious Long-Thibaud-Crespin International Violin Competition in Paris as the Jury member. An extremely keen chamber musician, Akiko Suwanai enjoys fruitful and longstanding collaborations with several artistic partners. In 2018/19, she concludes a 3-year Beethoven residency at Kumho Art Hall in Seoul with Yoko Kaneko. Summer months see Akiko Suwanai performing chamber music programmes with other world-renowned musicians at the Martha Argerich Festival in Hamburg, and Chamber Music Festival in Rosendal founded by Leif Ove Andsnes. In recent years, Akiko Suwanai has established collaborations with Bamberger Symphoniker and Detroit Symphony Orchestra. She performed with Orchestre de Paris and Paavo Järvi, Valery Gergiev and The Mariinsky Orchestra, Hong Kong Philharmonic and Lawrence Foster, Gürzenich-Orchester Köln and François-Xavier Roth, Israel Philharmonic Orchestra and Gianandrea Noseda and The Philadelphia Orchestra and Pablo Heras-Casado. Akiko Suwanai performs on the Stradivarius ​‘Dolphin’ violin from 1714, one of the most famous violins known today and previously owned by Jascha Heifetz, which has been kindly loaned to her by the Nippon Music Foundation.